There's a new research report just published by SEED on the subject of the gender imbalance among teachers in Scottish schools and what to do about it. 'Insight 24: Gender Balance of the Teaching Workforce in Publicly-funded schools in Scotland' is the summary version. Lots of interesting snippets of information to discuss, but not many surprises in the report. Putting it crudely, the proportion of men in the teacher workforce is declining, was already at a very low level in primary schools and is now falling in secondaries too. The researchers offer some views on why people, especially men, don't find the profession so appealing any more; and suggest some possible actions to aid recruitment of the most able individuals regardless of gender. Yesterday I was talking to a group of school headteachers. The opinion there was that gender was quite possibly irrelevant; the priority was to have motivated teachers of any gender and age who could take the classes, as supply cover for teacher absence seems very hard to find. Learning and Teaching Scotland has published new guidance for schools and local authorities in Scotland about school websites. The Scottish Executive believes that well-managed school websites can be used successfully by schools to boost engagement with parents. If parents can be involved in the design and construction of the school's web presence, and if the site provides valuable information targeted at them, they will become more involved in their children's learning and the life of the school. 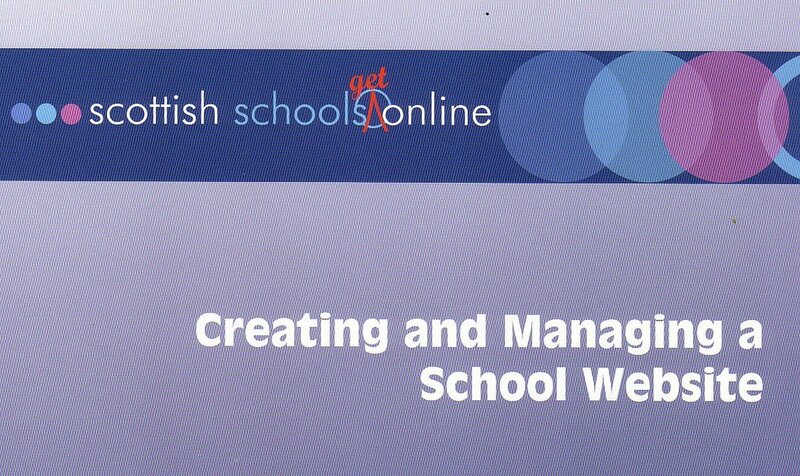 The guidance booklet "Creating and managing a School Website" is on the LTS Scottish Schools Online service, which also provides an online directory of Scottish schools. QCA recently published a detailed report on coursework [PDF] within GCSE and GCEs. The BBC news website has commented on coursework problems several times. There's been a lot of activity at governmental level, through the Scottish Executive, to address the varied aspects of the 'digital divide'. Policies and measures to increase the availablity of Internet access at home, workplaces and community venues. This will support better e-learning and all the various possibilities of e-government, plus add another option for democratic involvement. For example, the public library programme 'The Peoples Network' has been connected up our UK libraries and created hundreds of places, open long hours and with trained staff, that function as access points for the genral public to use the Internet. For information about the Peoples Network in Scotland, the Slainte website gives good background. 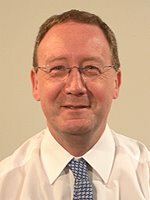 Now the Scottish Executive has launched a consultation review about Scottish Digital Inclusion policy, both past policies and future directions. Go on, take the opportunity to tell the Executive what is needed to get Scotland's population online (or as many of them as want to be!).. The 'Schools of Ambition' programme is a major element of the Scottish Executive's current policy agenda, "Ambitious, Excellent Schools". There's an interesting mix of schools. Some might be described as 'struggling' or working in challenging circumstances, while a few would be regarded as 'high achievers' working in more prosperous areas. The makers of BaseCamp (a web-based project management system) report on their blog that they're offering a basic BaseCamp account free to all teachers for a limited period of time. I've used BaseCamp for a couple of projects and I was very impressed with its ease of use and features. Drop them an e-mail to request an account. Leadership is a big theme in Scottish education at the moment. Headteachers have a key role as school leaders, as they are the individuals who can do most to change the ways that a school does its job. For ICT, 'Leadership for Learning' is a development initiative for Scottish headteachers, which aims to assist Heads to develop strategic leadership of ICT in their school. It is funded by the Scottish Executive Education Department, and managed by Learning and Teaching Scotland. It has already run for 2 years, and a third cohort of Heads started on the programme in September 2005. Its a mix of residential and school-based work, with exposure to lots of ICT developments and visits to schools where real use is going on. 'Evaluation of the Leadership for Learning Initiative' - summary version. 'Evaluation of the Leadership for Learning Initiative' - full report. Lots of people ask: 'where can I get funding for my ICT project'. There's no one answer; it depends on things like what they want to achieve, their employer, the availability of local, national and EU funding, possibility of sponsorship, etc. But here are two current opportunities for Scottish schools to bid for funding for their project proposals. The BT Education 'School Awards' scheme is well-established and the ICT projects of many Scottish teachers have already benefitted from it. The closing date for the current phase is on 14th November 2005. The new Microsoft 'Partners in Learning' initiative in Scotland, recently launched, is inviting requests for proposals from teachers. It aims "to support innovative projects that use ICT in its widest sense", and gives some examples which use technologies like digital audio and GPS tracking. Remember: If you don't ask, you don't get. This [PDF] is a useful reference document that compares qualification frameworks in Scotland, England, Wales and N. Ireland. SQA is planning on producing a regular 'e-zine'. The first edition is due out shortly. You can join the mailing list here. Interesting piece of research by QCA about a possible curriculum for the future.